Molly caught her first ladybug today. They are her favourite insects and she is always really delighted when we find them. She is very pleased it is ladybug season. 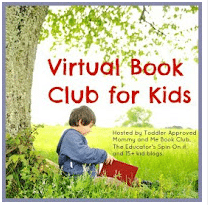 We have been reading the delightful Yoo-Hoo Ladybug this week for the Virtual Book Club. 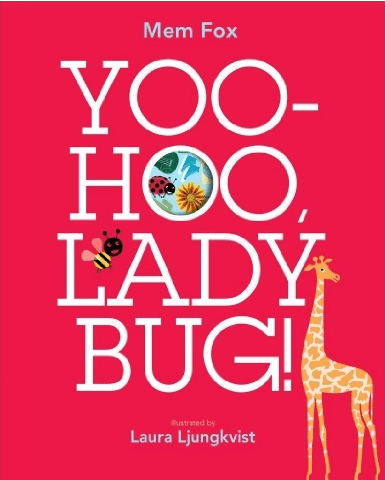 This is a charming story by Mem Fox where you have to find a ladybug on every page. It is a repetitive story which is great for children to join in with. To go with the story we decided to make our own ladybugs. I thought it would be nice to make a ladybug stained glass window. I cut a ladybug and some leaf shapes from the black card. This is an oval shape with a hole cut in it. We stuck a thin line down the middle and some circles for the dots all made out of the black card. The contact paper is probably the hardest part of this craft. First we cut it to a bit bigger size than the ladybug. The hard part is getting it flat without everything sticking to it. I peel off a corner at a time and stick them to the table before peeling off the whole of the backing. This means it stays flat. Then the girls stuck the black card ladybug onto the contact paper. After that the girls just cover the shape with tissue paper. You can cut the tissue paper out for younger children or let them practice their scissor skills if they are older. Make sure there aren’t any gaps in the shape. Then cut the shape out and stick to the window with blu tack. We stuck them on the window in a random arrangement to start with but then put them into a pattern which I think I preferred. When we were making the ladybugs we used a random arrangement of dots. This would make a great number display for children learning their numbers. You could have a ladybug for each number although you couldn’t have the line down the middle for the wings. 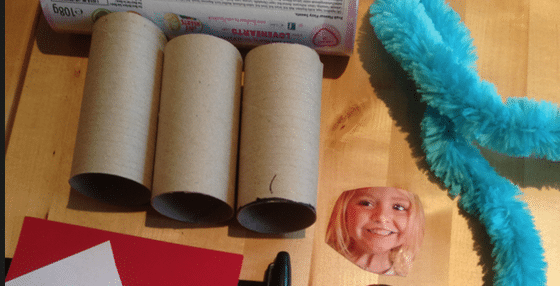 If you love crafts for kids then make sure you check out our amazing round up of every craft we have done on Here Come the Girls – there are over 100 to choose from!